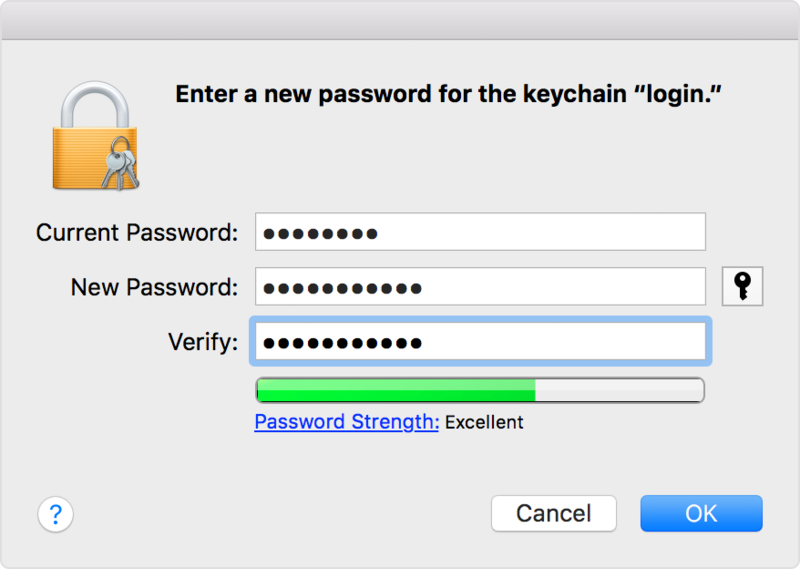 The password of your macOS user account might not match the password of your login keychain. Either create a new login keychain or update it with your new password. After you or your Mac administrator resets the password of your macOS user account, your Mac might ask you to update your keychain password or enter the password of your login keychain. It might also tell you that the system was unable to unlock your login keychain. That's because your login keychain is still using your old password. If you don't know your old password, the solution is to create a new login keychain. Click OK when done, then quit Keychain Access.